Overseas hackers have conned three Auckland businesses out of tens of thousands of dollars in an elaborate email scam. The Albany and Devonport-based businesses fell victim to the ruse when placing email orders with Chinese suppliers. Rosedale dive and spearfishing retailer Wettie was targeted when owner Darren Shields placed an order with his Taiwanese supplier of more than 20 years. "I send them an order over email, they put it together and send me the invoice. "What's happened here is the hackers have intercepted the email, changed the bank account details and that's how it's landed in my inbox." There was nothing to suggest it was not legitimate, Mr Shields says. 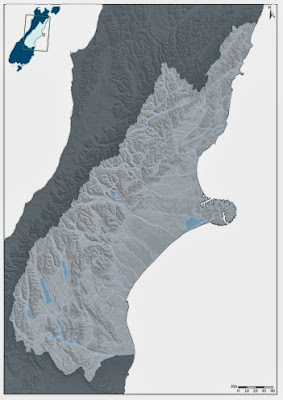 While we routinely cover the greater Canterbury district, often work takes us farther afield. Not all investigations can be neatly contained to one geographical locale and enquiries sometimes must be made elsewhere. We can sometimes reduce the cost of such investigations by using trusted agents in other cities to act on our (and your) behalf. If you have such a matter you would like to discuss, please contact us.